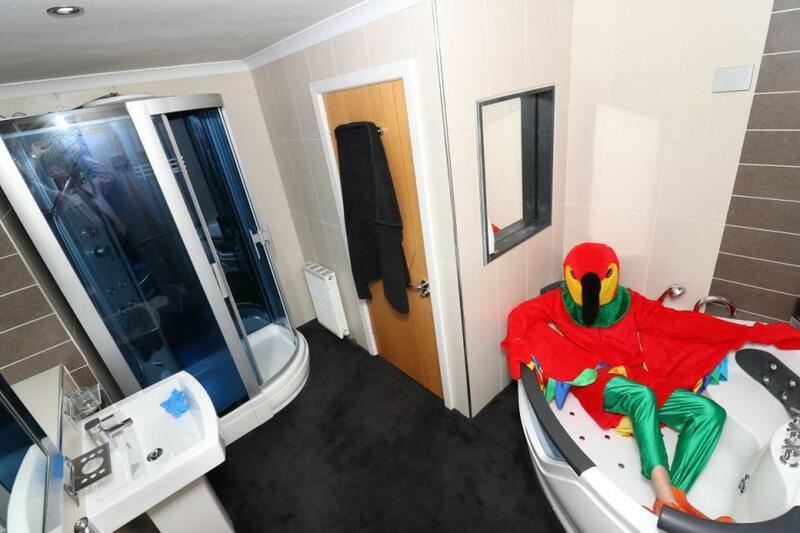 One man tried to drum up interest of a house for sale by dressing up as a parrot to showcase the property. 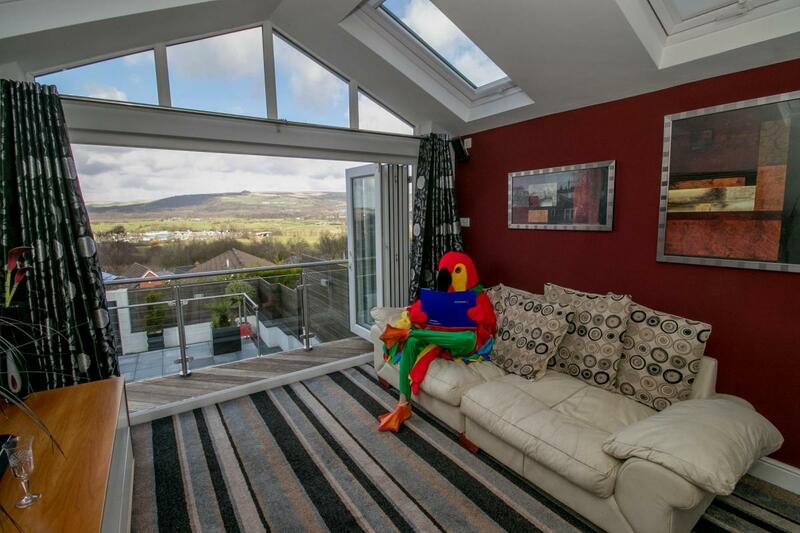 The house is on the market for £225,000 with stunning views, high quality finishes and a man dressed as parrot (hopefully not included). 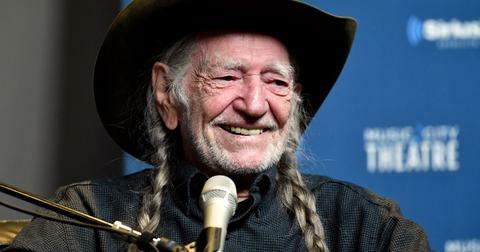 The property is listed through Platinum Properties who say the homeowner was "up for a laugh." Here he is in front of the realty office. 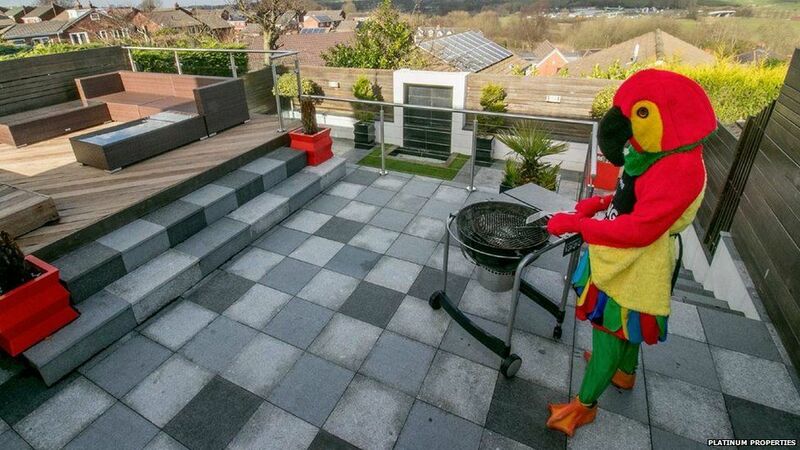 Mr. Parrot enjoying the weather and beautiful views while barbecuing solo. That looks like an amazing spot to relax and unwind. Winding down at the end of the day with a cocktail... or three. In case potential buyers don't pick up on the fact that this is the bar area, the pictures of liquor on the wall should help tip them off. Relaxing on the couch. Can we talk about that view for a moment? We'd move in tomorrow if we could. Though all those patterns in that room are giving us a headache. Kicking it in the jacuzzi bathtub. If a parrot can fit comfortably inside, so can you. Though... is that carpet on the floor? Interesting choice for a bathroom. The shower might be a tight fit, but it's got blue glass, so that's cool! 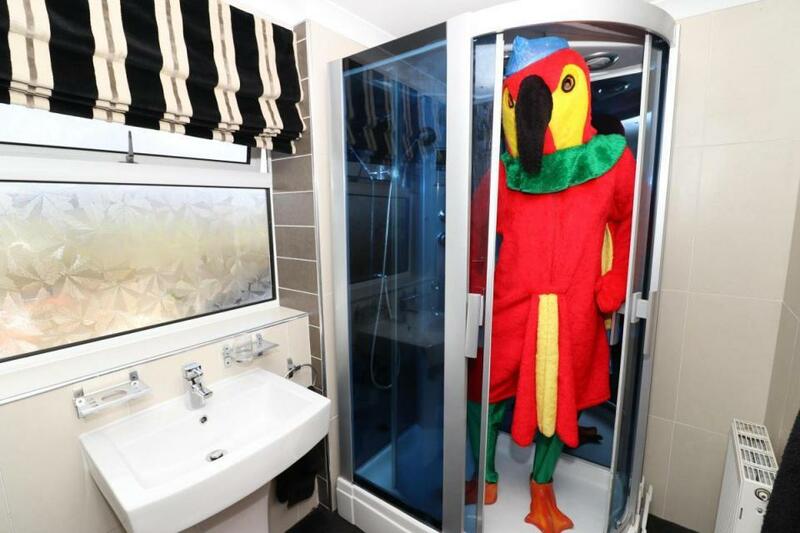 This property already has 100,000 views on Rightmove. 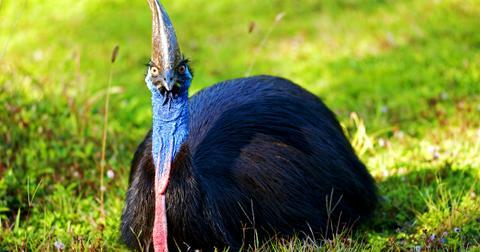 Are you tempted to put an offer in? 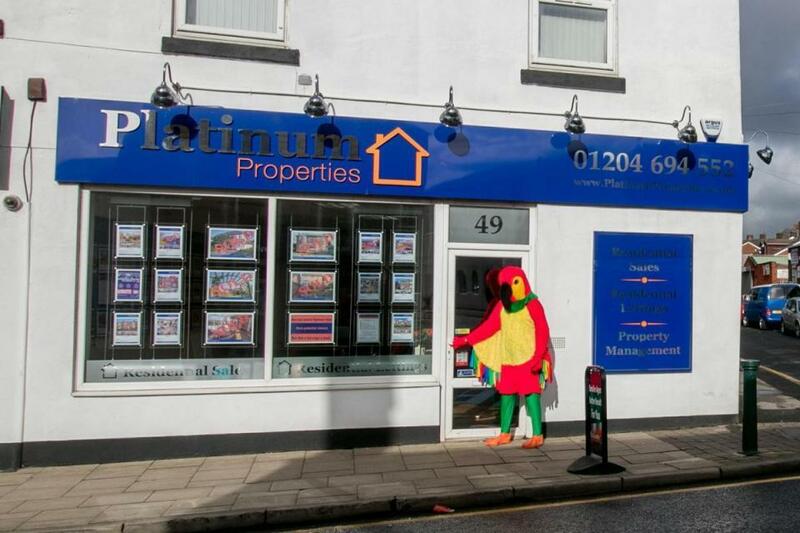 As for the bird, real estate agent Steve Laycock told BBC's Newsbeat that "the parrot has requested anonymity but he tends to squawk rather than tweet ... 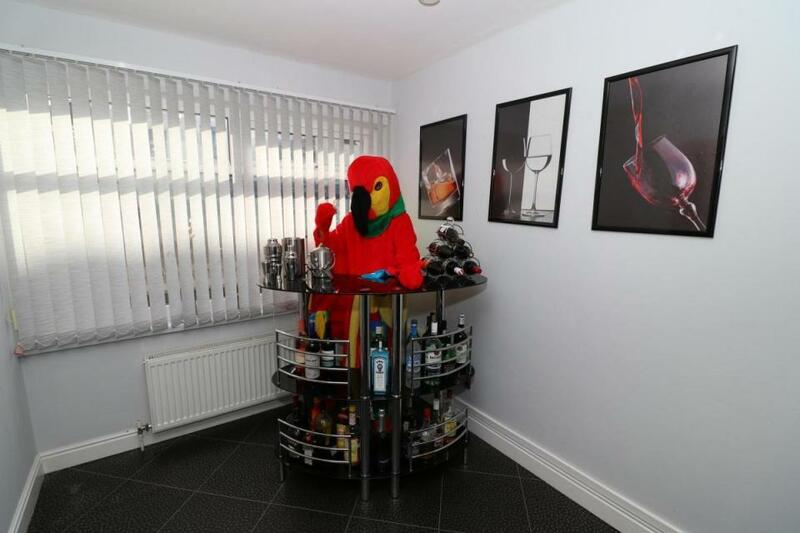 It's a macaw showing off the decor."